There have been enough iterations of William Wellman’s A Star is Born now that we can see in each the specific tastes of their time – the 1937 versions flirtation with screwball comedy, the 1954 version’s expansive musical numbers and staging, 1976’s gritty, solipsistic rock opera and now 2018’s entertainment news focus on the machinery of fame and art. At the same time it remains universal enough that each new version draws us to it like a talented newcomer to the lure of fame. Which means despite this being the fourth version of the film there is still potential for more to be mined from it; a state of affairs many remakes could only dream of. But – as both the characters within the film and the directors behind it have learned – potential can only take you so far and then something else has to kick in. To his credit, Bradley Cooper – who put perhaps more of himself into the subject than any previous take as director, co-star, co-writer and co-producer – has crafted a version which can stand proudly among it’s mostly celebrated forbears (we’ll avoid mentioning the Streisand version too much). Distinct from those versions as it is the song, as they say, remains the same. Original alcoholic movie star Norman Maine is now alcoholic country rock star Jackson Maine (Cooper), an old hand at fame who is just starting to tip from his peak to a long descent downwards. His decline has been a long time coming, due in no small part to increasing tinnitus from a lifetime in front of giant speakers, and the painkillers he uses to deal with that fact. A drowning man who’s given up treading water, he gets an emergency life preserver thrown his way in the form of Ally (Lady Gaga), a talented singer/waitress who reminds Jackson of the artist he used to be. Embracing his new role of mentor, Jackson and Ally attempt to brave the choppy waters of fame together, and ignore the siren song of depression and exhaustion always calling out. A Star is Born is a strong enough story that it can (and has) survive even the most ham-fisted translations, but it’s also familiar enough that it risks easy dismissal as a pile of cliché if not handled just so. Cooper the filmmaker treads a minefield of melodramatic material without ever succumbing to those temptations. It would be an impressive directorial effort even if it weren’t his first, balancing both the highs of romance and the lows depression, as well as the different driving factors for Jackson and Ally. As tricky a balancing act as the tone of the film is, the casting is even more important. Cooper as leading man is almost as impressive as the director, particularly the handful of moments when Jackson drops his defenses and reveals the paint and embarrassment he’s holding in. But it’s Lady Gaga who walks away with A Star is Born. Some of that is the nature of the role – as the artist on the rise Esther (now Ally) gets the biggest moments and sharpest beats in the film as she tries to handle her career success and her faltering marriage. But if great roles make great performances they still need an actor up to the challenge. 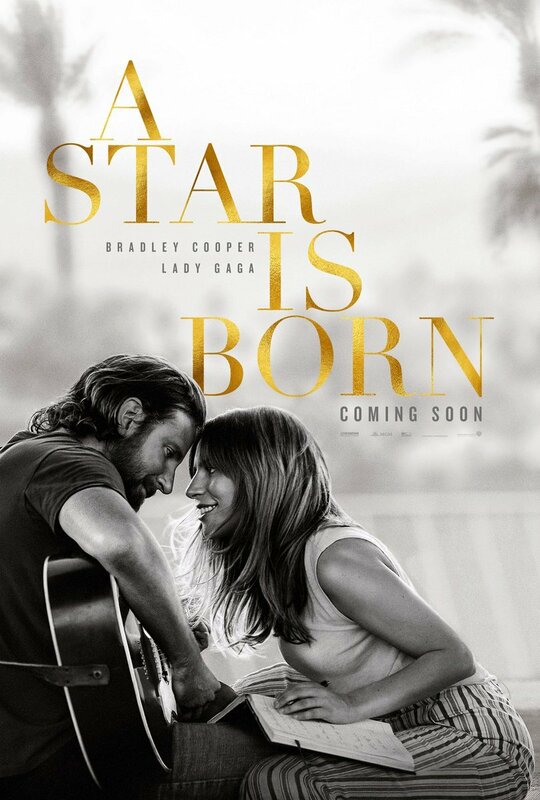 It’s become trite to call a performance ‘soul-baring’ (almost as trite as a celebrity with a substance abuse problem) but if anyone can honestly lay claim to that descriptor it is Lady Gaga’s feature film debut. So much of Ally – from the horror stories of her early attempts at the music business to her issues with her looks and self-esteem and movement towards being a persona rather than a person – seems pulled from Gaga’s (born Stefani Germanotta) own life the comparisons fairly leap out of the screen. The downside, such as it is, is that everyone disappears within the glare of Jackson and Ally’s relationship. Only Elliot as Jackon’s (much) older brother manages to pull away from the gravitational pull of romantic tragedy to create a character who seems to exist on his own and on his own terms. His final scene is done almost entirely without words, only a close-up on his face (while driving a pickup in reverse no less) and it is one of the most effective moments in a film full of them. No one else gets that level of development, but that’s a bit like complaining your solid gold statue of yourself isn’t also covered in diamonds. And even given little to do, everyone in front and behind the camera brings their best stuff, as if they all realized the quality of what they were working on. Cinematographer Matthew Libatique in particular outdoes himself with a naturalistic look which turns on a dime into the type of expressionistic dreamscapes he has cooked up for so long for Darren Aronofsky. It’s the best of DP’s who can create not just mood but visual representation of a film’s emotional moments (without stepping all over them) and Libatique has pulled out all of the stops here. From top to bottom A Star is Born is a success, the rare remake that proves not only that it has more to say about its subject but that there is more to say – not just in the specific but in the general. That remakes are not just banal efforts at easy money but worthy artistic endeavors in their own right which shouldn’t be summarily written off. It’s so good it’s easy to think this could be the peak for Cooper or even Gaga – like the ephemeral joy of Jackson and Ally’s first duet it may ever be strived toward but never recaptured. It would be too bad if that ends up being true, but man, what a peak.